"Bearing Witness" features a monthly speaker (a Holocaust survivor or survivor family member) who recounts their experiences and shares "unforgettable stories from the Holocaust." 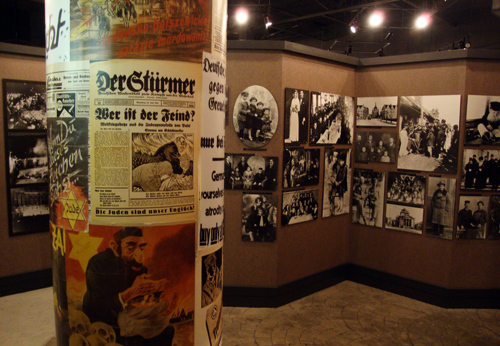 The moving and often sobering stories are followed by a guided tour of the Holocaust gallery (photo), part of The William Breman Jewish Heritage & Holocaust Museum. Scheduled for Sunday, August 7, 2011, at 2:00 p.m., this month's speaker is Gilbert Sherr, a second generation family member of a survivor from Germany. Typically, the presenting survivors now live in Atlanta. The talks are held the first Tuesday of every month.